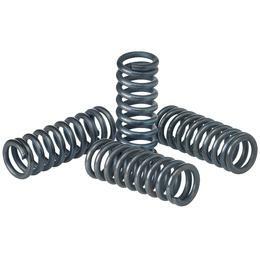 Clutch spring for Triumph clutch basket / pressure plate. Triumphs take four springs, or use three of these in your 500 / 650 / 750 c.c. Triumph or BSA A50 / A65 and keep the fourth as a spare. These are slightly lighter duty and will help keep a tighter clutch when engaged. 59lb @ 1.185" / 45 LBs @ 1.325"